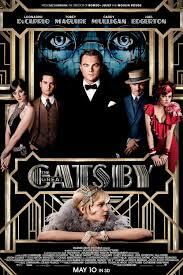 Review: It is the spring of 1922 and Nick Carraway leaves the Midwest and moves to New York City. He gets drawn into the past and the lifestyle of his millionaire neighbor. This sees Baz Luhrmann and Leonardo DiCaprio reunited for the second time (Romeo and Juliet). Not one of Baz Luhrmann’s best films. I didn’t think that Carey Mulligan was the right choice and thought that she was a weak link in it. The film however did get better as it went along. There have been several film adaptations of the film. The first one was in the 1920’s but this no longer exists only the trailer. In 1974 it was remade again starring Robert Redford. At the Academy Awards in 2014 it won two Oscars. They were for Best Achievement in Costume Design and Best Achievement in Production Design. At the Bafta Awards also the same year it won two awards and again they were for Best Production Design and Best Costume Design.